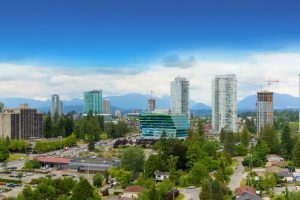 Surrey, a metro centre in B.C, is growing and gunning to be the biggest city within this province — approximately 22 per cent of B.C births occurs in Surrey — and it is only a matter of time for this to happen. Up until recently, the housing market in Canada has been in a frenzy, especially in British Columbia. But all of that seemed to have cooled, and if what we hear from property analysts is true, then it will continue so for a while time to come. Recently, Canada’s mortgage “stress test” played a significant role in calming the hot housing market. It reduced demand to say the least. That being said, in a recent article by the Surrey Now Leader, Cameron Muir, the Chief Economist for the British Columbia Real Estate Association, mentions that the initial shock of the mortgage stress test is “dissipating, leading to increased home sales”. The B.C. market is going through an evolution, similar to the experiences of Ontario and Alberta. 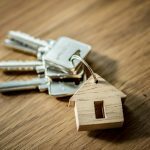 In their cases, the initial shock of the mortgage is going way, and increasing home sales is evident across the various cities in both Ontario and Alberta. In Surrey, people are coming to terms with the home price gap. Take for instance, in August, 229 detached houses were up for sale in Surrey-Delta for a whopping $1 million or a little less. North Surrey had two-dozen alone. Surry condo apartment goes for $340,000 while in Greater Vancouver the price is $846,100. 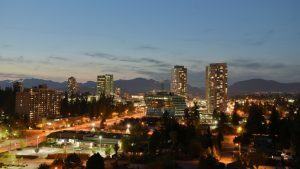 But you would be surprised that the average family take-home pay in Surrey is much higher than Vancouver, according to Statistics Canada. Houses in Surrey are mainly single-family homes that you can find in natural-looking suburbs. They have a quiet street with enough yard space. Most of the apartments are part of subdivided homes or flats. Plenty of surrounding agriculture characterizes this growing city—about 35% of the distant land. The quantity of stock in the market has pretty much nosedived, which is a good indication for house prices. The stock was put at 2628 three months ago. 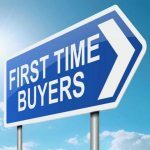 It must be said that the number of home buyers in recent times seem to have declined too. However, prices initially slowed to react before dipping and going forward, the market will soften further. In light of the above, The Canadian Real Estate Association (CREA) has tinkered with their earlier forecast to reflect a significant reduction in sales. Fewer homes will be sold (about 11%) in 2018 when compared to the 2017 figure—that is the recent prediction. It is believed that the new BC NDP Housing Strategy would trigger a price correction. But that is far from reality. The only substantive effect is in slower price growth and reduction in sales volume. Be that as it may, government measures are yet to come into play, so skepticism in the market may continue to exist. The decline in housing prices didn’t start now; since May this year, it has been on a continuous sliding, which was a bit higher than what they were a year ago. The composite benchmark price for homes in Surrey is at $1,083, 400, which is higher than August 2017 figure by 4.1. The surrey housing market may be at an all-time low as regard price growth, but not without one or two reasons. The less activity of home buyers in the market is crippling prices for all housing types—this is according to REBGV president Phil Moore. So many options are on the table for buyers, and with less competition in the market, you would expect the status quo to remain. Because of the existence of few buyers in the market, the upward pressure on home prices in Surrey BC will continue in a downward trend. The most affected is the detached home market. Again, the townhome and apartment markets are also not making any gains in term of prices over the last few years. Prices also fell for the condo and townhouse markets between June and July, but certainly not where they were last year. The apartment is now $700, 500, which is the benchmark price, and when compared with the June figure, it was 0.5 per cent less. But townhouses sink to 0.4 per cent with a price value of $856,000. As demand for condo and attached homes continues, October sales hit the second highest level. But this strong demand has been met with roadblock—limited supply in this region. There was a reduction in inventory for last month (as it fell 6.3 per cent and dropped 9 per cent when compared to a year ago). At the moment, the Condo Market continues to show signs of a cool market. And the 63% of Vancouver (Lower Mainland) is sliding. Even the Townhouse Markets is going down—about 24 out 28 Markets. The indication in both markets is of a buyer grabbing a “rain check” for the last two quarters. With demands dropping and prices not making any improvements, buyers and sellers will have less competition to deal with multiple offer situations. For stakeholders to gain an advantage in this market, effective pricing will be critical in determining a successful transaction. As the year winds down, the market will continue to open up, and you can take some informed decisions if you want to jump in. Talking to a realtor will be your best bet right now. That way, you can evaluate your options and plan going forward. Surrey housing market will likely slow down further, as the rising interest rate shows no signs of stopping soon with more stringent mortgage rules pulling the strings. But the outlook may improve quickly enough since Toronto is getting out of the woods with an improvement in home sales from the June poll. Existing policy measures and the hikes by the Bank of Canada may also be partly responsible for some of the recent happenings in the industry. However, modest price growth will take effect shortly, and Surrey will be in the mix of it all. Market regulators are getting their hands on what they deem fit to ensure a soft landing for all and sundry. Whether the so-called “stress test” at the beginning of the years was a hit or miss, stakeholders in surrey housing scenes are going all out to restore sanity and make prices favorable across the board.